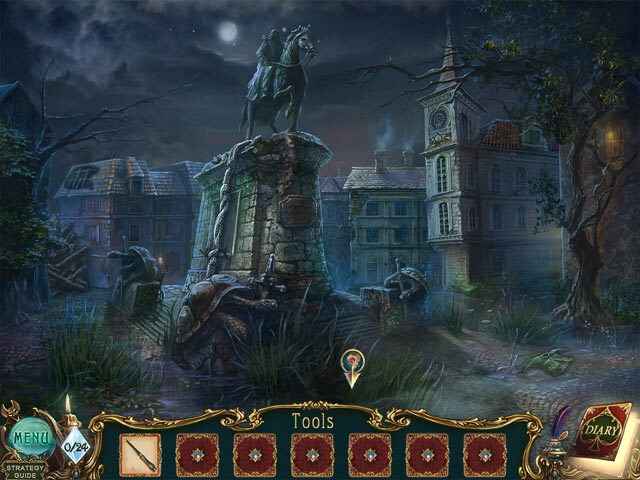 Rated 5 out of 5 by Powrtoc1 from Look, Ma, no hint button! While ERS has a tried and true formula for their games, some people might find that point, well, boring. I like to know what I'm getting, and this game felt balanced. The fact that there was no hint button except on HOS was cool. I enjoyed the minigame on the pub door the best. It showed a bit of creativity. Not too much running around, either. 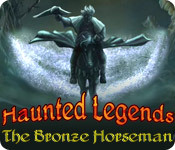 Rated 5 out of 5 by crisgori from Another great Haunted Legends Pros: great graphics, good plot, solid logic, HOS very well done, good lenght, full screen. Cons: no hidden objects or achievements, no hints out of HOS, HOS sparkled even in advanced mode. Rated 5 out of 5 by Phoebecat1 from My Favorite Games I started playing Big Fish games last year and these are, by far, my favorites! Story lines are great. This one is not "quite" as entertaining as the others but it is still one of my top favorite games. The little evil dude is hilarious - but evil - of course. I would advise buying all of them: Queen of Spades, Undertaker...all of the CEs are worth the money. Good mix of puzzles and HOs - that are fairly challenging, which is, for me, important. I don't like puzzles especially that play as if they were created for morons. BUY these games! Rated 5 out of 5 by bikeramy from Feels like a real adventure A fun game, which flows well, and has good HO games, as well as other mini games (which were enjoyable & challenging but not impossible). The HO objects were good sized and interesting to find, with several steps for a few of them each time. The flow of the scenes of the story line unfolded in an interesting way to me, not linear, & more intriguing. Rated 5 out of 5 by cuorips from Fun in History. I enjoyed it, nice plot, good graphics, good scenes, inventive,I had a good time. Rated 5 out of 5 by centauri272 from Great game! I played in expert mode and without music. The storyline is interesting. The graphics are very good, the HOS clear. The puzzles are not to difficult and I skipped only one. There is no map, so there is some walking back and forth trying to remember.... There is a strategy guide. The game length is about 3-3 1/2 hours. Yes the end is abrupt... but, who knows, perhaps there will be a sequel. All in all, I spent a good time playing it. Rated 5 out of 5 by MEnr56 from RARELY LOOKED AT THE WALKTHROUGH I am one of those players that HAS to have a walkthrough for MOST games that I play because of too much carrying around of too much inventory with many of said items not making sense as to their uses. This game, however, was the exact opposite; except for 2 objects that you didn't use to almost the very end of the gameplay, all the inventory that you picked up were used within a relatively short period of time AND their uses were COMPLETELY commonsense-related!!! 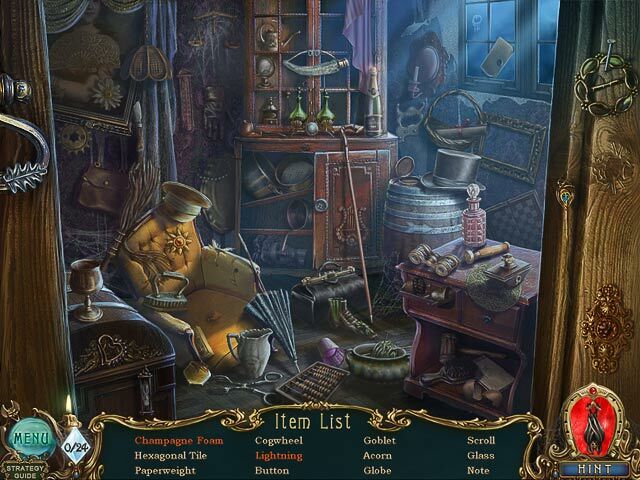 For that reason, this game was VERY enjoyable to play; however, you want to make sure that you look in EVERY nook and cranny and side of screen for the crystals -- I almost missed 2 of them but discovered them just as I was about to leave the scenes to do other things. Except for the abrupt ending that honestly, made NO SENSE, this game was well thought out, with inventory items being sensibly used and with puzzles (except for 1 that I finally skipped) that were NOT difficult but just thought-provoking (ANOTHER plus for these grey cells LOL). Rated 5 out of 5 by kirsten930 from Awesome game! 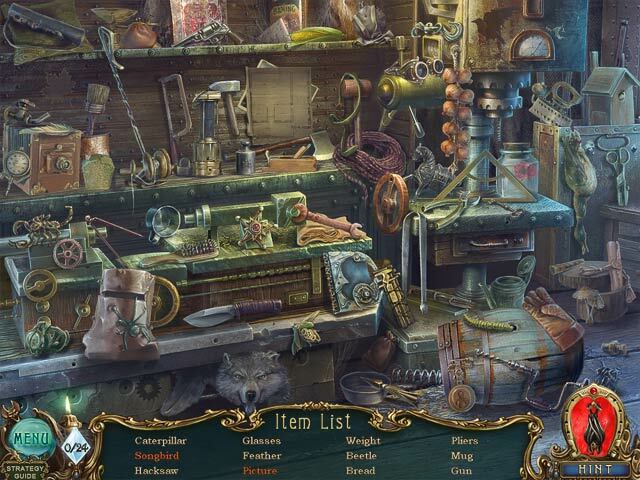 One of the better hidden object games I've played in a long time. Rated 5 out of 5 by missgret from Great Game for Intermediate Level Players Lots of fun! I didn't have to keep referring to the walk-through for help. Would like to see more of this series!